Gordon, who has not been criminally charged in his girlfriend's death, was found liable in September by Fulton County Superior Court Judge T. Jackson Bedford. 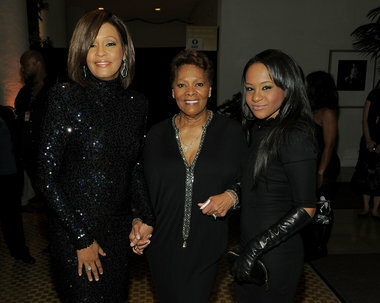 Brown, the daughter the late singer Whitney Houston, was found unresponsive in the bathtub of her suburban Atlanta townhouse in January 2016. She never regained consciousness, and died in hospice care six months later. She was 22. An autopsy revealed a combination of drugs and alcohol in her system, but medical examiner did not rule whether the death was accidental, suicide, or homicide. Brown's family has alleged that Gordon gave her a toxic cocktail of drugs before placing her in the bathtub. The civil court case did not reveal anything new about Brown's death because Gordon refused to participate. According to TMZ.com, the judge awarded Brown's estate $15 million for loss of life, which includes her net worth and possible future income, $13 for pain and suffering, $4.2 million because Gordon was allegedly under the influence of drugs and alcohol when the death occurred, $1.3 million for assault and battery and medical damages, and $1.5 million for conversion, or the theft of Brown's assets, with punitive damages of $250,000.